3'x5' Arizona Cardinals Dyed polyester Flag. Finished with canvas header and two `D` rings. Quality Team flag made in the USA. 3'x5' Dyed polyester Flag. Finished with canvas header and two `D` rings. Quality Team flag made in the USA. 3'x5' Baltimore Ravens Dyed polyester Flag. Finished with canvas header and two `D` rings. 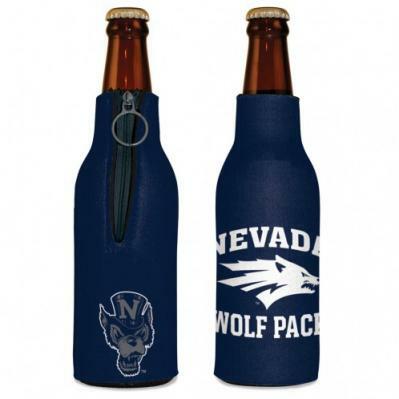 Quality Team flag made in the USA. 3'x5' Buffalo Bills Dyed polyester Flag. Finished with canvas header and two `D` rings. Quality Team flag made in the USA. 3'x5' Carolina Panthers Dyed polyester Flag. Finished with canvas header and two `D` rings. 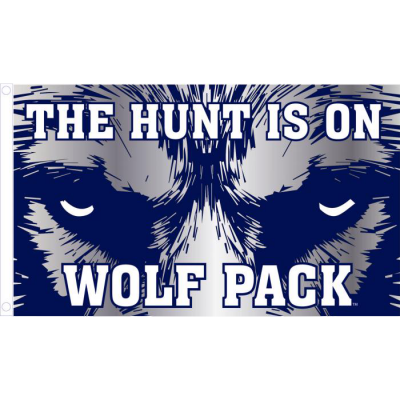 Quality Team flag made in the USA. 3'x5' Chicago Bears Dyed polyester Flag. Finished with canvas header and two `D` rings. Quality Team flag made in the USA. 3'x5' Cincinatti Bengals Dyed polyester Flag. Finished with canvas header and two `D` rings. Quality Team flag made in the USA. 3'x5' Cleveland Browns Dyed Nylon Flag. Finished with canvas header and two brass grommets. 3'x5' Dallas Cowboys Dyed polyester Flag. Finished with canvas header and two `D` rings. Quality Team flag made in the USA. 3'x5' Denver Broncos Dyed polyester Flag. Finished with canvas header and two `D` rings. Quality Team flag made in the USA. 3'x5' Detroit Lions Dyed Nylon Flag. Finished with canvas header and two brass grommets. 3'x5' Green Bay Packers Dyed polyester Flag. Finished with canvas header and two `D` rings. Quality Team flag made in the USA. 3'x5' Houston Texan Dyed polyester Flag. Finished with canvas header and two `D` rings. Quality Team flag made in the USA. 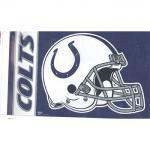 3'x5' Indianapolis Colts Dyed polyester Flag. Finished with canvas header and two `D` rings. Quality Team flag made in the USA. 3'x5' Jacksonville Jaguars Dyed Nylon Flag. Finished with canvas header and two brass grommets. 3'x5' Kansas City Chiefs Dyed Nylon Flag. Finished with canvas header and two brass grommets. 3'x5' Miami Dolphins Dyed Nylon Flag. Finished with canvas header and two brass grommets. 3'x5' Minnesota Vikings Dyed polyester Flag. Finished with canvas header and two `D` rings. 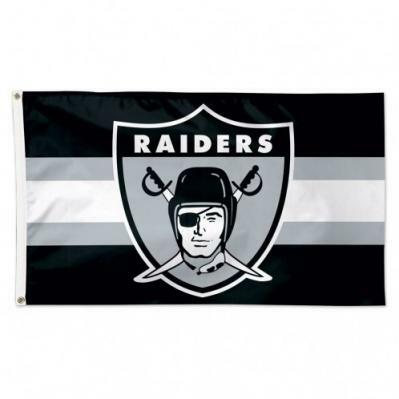 Quality Team flag made in the USA. 3'x5' New England Patriots Dyed polyester Flag. Finished with canvas header and two `D` rings. 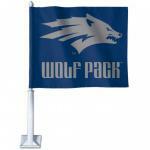 Quality Team flag made in the USA. 3'x5' New Orleans Saints Dyed polyester Flag. Finished with canvas header and two `D` rings. Quality Team flag made in the USA. 3'x5' New York Giants Dyed polyester Flag. Finished with canvas header and two `D` rings. Quality Team flag made in the USA. 3'x5' New York Jets Dyed Nylon Flag. Finished with canvas header and two brass grommets. 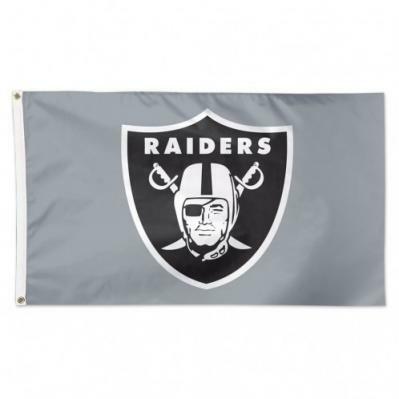 3'x5' Oakland Raiders Dyed polyester Flag. Finished with canvas header and two `D` rings. Quality Team flag made in the USA. 3'x5' Philadelphia Eagles Dyed polyester Flag. Finished with canvas header and two `D` rings. Quality Team flag made in the USA. 3'x5' Pittsburgh Steelers Dyed polyester Flag. Finished with canvas header and two `D` rings. Quality Team flag made in the USA. 3'x5' San Diego Chargers Dyed polyester Flag. Finished with canvas header and two `D` rings. Quality Team flag made in the USA. 3'x5' San Francisco 49ers Dyed polyester Flag. Finished with canvas header and two `D` rings. Quality Team flag made in the USA. 3'x5' Seattle Seahawks Dyed polyester Flag. Finished with canvas header and two `D` rings. Quality Team flag made in the USA.